So after over 15 days away from home it is finally nice to be back in Denmark. I am a little bit late with this latest blog entry and it is simply because I have needed to get over the jet lag. Thankfully I can now say I have fully recovered from the travel and I am now able to reflect on my time in Asia. On to Yokohama, the following week. WOW I was happy to get out of China. Despite Japan being only a 3 hour flight it seems a million miles away from China. You can clearly see the difference in how the two countries are run. Of course politics plays a massive part in the social experience but there was not really a social experience in China, I suppose a reflection of the politics behind the country?! Anyway safely in Japan and my hunger to race and race solid was big, extremely big. With only 7 days in which to turn around my confidence and belief it meant a lot of communication with the people who believed in me the most. 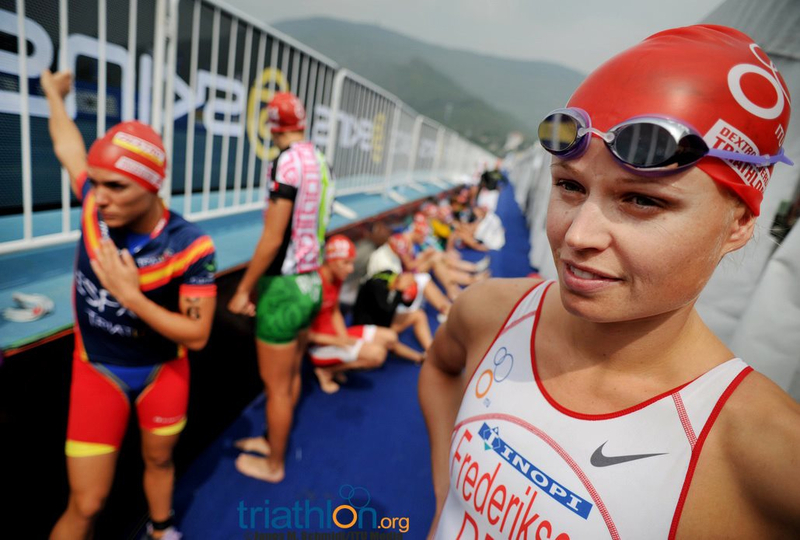 48 hours before race start I had identified a clear race plan which enabled my focus for the race was where it should be. The method was a visual process of breaking the race into segments and focusing on all the key/critical points individually. This was a new method that I had not tried before and it worked to great effect. Race morning and my focus was clear and pretty simple. Race my own race, stay out of trouble and realise the race is not over until you cross that finish line. Air temperature recorded at race start was a pleasant 28 degrees with water temperature measured at a similar 28.7 degrees. We were in for a hot swim. However 95% humidity meant this race was going to be HOT. 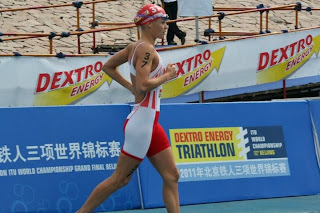 Swim was solid, I exited at the turn around in 12th and then by the time we entered T2 I had positioned myself in 9th. Helen Jenkins (GBR) and Lucy Hall (GBR) had established a very respectable lead coming out of the water. On the 2nd lap of 8 we caught the leaders and formed a group of 24 eventually on lap 6 becoming a group of 40+. Now it was a case of staying out of trouble and hydrating. The temperatures towards the end of the bike had now reached 33 degrees and the added humidity made it almost unbearable. This run was certainly not going to be fast and I was focused on holding my own and finishing solid. As predicted the run was not fast but I was able to run relatively solid finishing 21st position overall. It is certainly not a break through performance but from the result of only 8 days previous I was extremely happy with the turn around in belief. 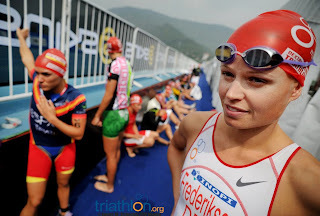 For now I am based in Denmark for a minimum 3 weeks where I will decide whether to take a season break, prepare for a small block of races Oct/Nov or the possibility of experimenting with altitude training/testing.